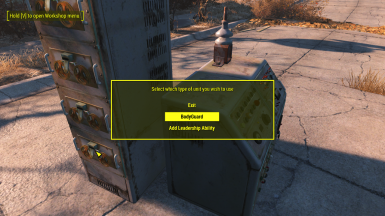 This mod will allow you to build your very own custom companion from the ground up!! Added the ability to pay to be able to have more followers "Also helps if they die as a follower with Non-Essential"
Come visit me on my Facebook Page for Mod updates! 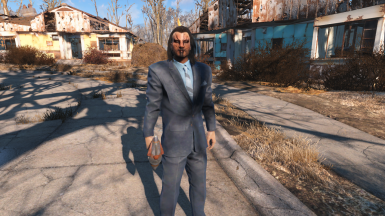 - A version that will allow you to equip them with Skibadaas weapons pack "Will require his mod for this version"
- A version that will allow you to equip them with DoomBased Weapons "Will require his mod for this version"
- Custom Voices Coming Soon! Stay Tuned! 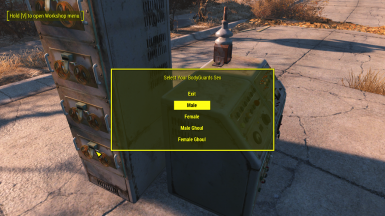 Using Female Voices on Males, Just how Creative can you get ? How about Male voices on Females ? 3.) Select What you wish to do from the Menu "Add Leadership Ability will give you the ability to recruit them"
14.) 5 Seconds after equiping the item, the menu will appear to Alter their facial features!! 15.) Once you are done editing their face, Finish and you are done you have now created your very own custom follower!! 17.) Your companions are Flagged as Essential as well! 4.) ColdTyrant - Robert Downey Jr. "Tony Stark"
- The Ability to give them a custom name of your choice, I am still working to get this resolved, But beyond that you will be able to fully customize your companion. 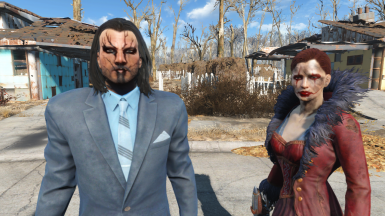 - You Can't Edit Ghouls Faces - I know, I haven't quite figured out a way to force the menu to use different presets and what not with the Ghoul faces, so you won't be able to customize their faces but they will get randomly generated faces for now. - When you custom create your follower, the next one will have the same face as the one you just made, that's fine they won't actually effect each others face it just copies from the last face you made.